The National Institute of Standards and Technology by the US Department of Commerce is an amazing organization. They help set and maintain standards for nearly everything from the current time to lung power. Honestly, I have no idea what lung powder is. It is probably something you end up with after smoking $240 NIST brand cigarettes. But be careful, that might contaminate SRM 2670a - dried urine. 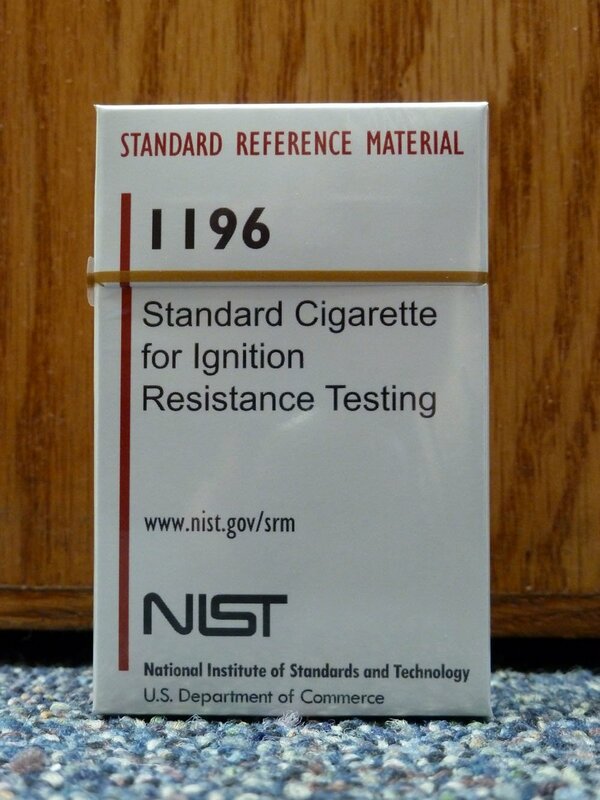 NIST sells Standard Reference Materials. These are things that laboratories can buy to ensure that they have consistent material to work with through their experiments. Want to see some of the weird stuff they sell? Keep reading. Notes: The SRM is a tobacco or tobacco product, wood or wood product which is exempted by OSHA under paragraph (b) (6) (iii) and (iv) of Standards 29 CFR Part 1910.1200. These cigarettes are NOT FOR HUMAN CONSUMPTION. There are substantial safety hazards associated with exposure to both primary and second hand smoke from cigarettes. These cigarettes are only to be used under laboratory conditions described in ASTM E 2187-09. Notes: "Hazardous Shipping Code: Miscellaneous Dangerous Goods"
Notes: I don't have a friggin clue what this stuff is. Notes: "Reconstituted Vol of Urine per vial 20.0 mL"
Notes: "Major Health Hazards: Corrosive effects may be expected, however, severity of the damage depends on the concentration and duration of exposure. Nitric acid fumes can cause burns if inhaled. May cause burns if nitric acid solutions are swallowed or in contact with the skin." Notes: Based on everything else on this list, I don't think I would eat it. What would Mario sound like with real sound effects?